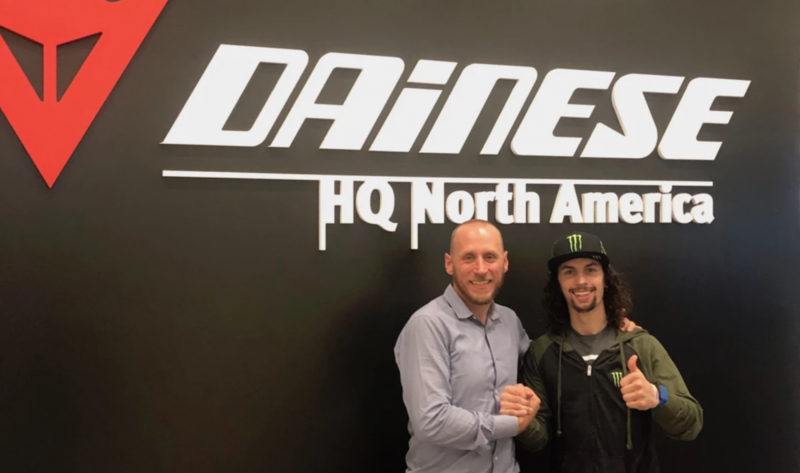 COSTA MESA, Calif. (February 7th, 2019) – Dainese, the world leader in protective wear for dynamic sports, today announced its team sponsorship with Estenson Racing that includes dual-discipline racer, JD Beach, for the 2019 American Flat Track season. Estenson Racing is entering its third year as a privateer team. The 2019 season will be Estenson’s largest, and arguably strongest, roster of racers. The team is made up by twins class racers JD Beach, Jake Johnson, and Kolby Carlile, and singles class racers Ryan Wells and Dallas Daniels. Estenson’s Twins Racers will be equipped with Dainese D-air® suits and top-of-the-line boots and gloves for the 2019 American Flat Track racing series. Dainese is also the Official Safety Partner of American Flat Track.